LAKE PLACID — Labor Day weekend 2016 was the perfect storm for crowds the size and scope of which the Adirondack High Peaks had seldom seen before. It was a sunny stretch of vacation days perfect for thousands of people to drive to the area to hike for the first time, or one last time before the start of the school year. Some were finishing their summiting of the 46 highest mountains in the Adirondacks and some were falling in love with the High Peaks for the first time. After a dry and warm summer where picture after picture was posted to social media from popular summits such as Cascade Mountain, heavily used trails like Cascade’s were battered one last time before autumn cleaning. Adirondack Mountain Club summit stewards said they spoke to more than 1,500 hikers on Cascade alone over Labor Day weekend. ADK Executive Director Neil Woodworth didn’t mince words when describing the amount of people hammering the High Peaks, as he said it was too much to handle. Julia Goren, ADK’s Summit Steward coordinator, was even more direct. The stories from busy weekends such as Labor Day weekend suggest the Adirondack High Peaks are at a critical juncture. 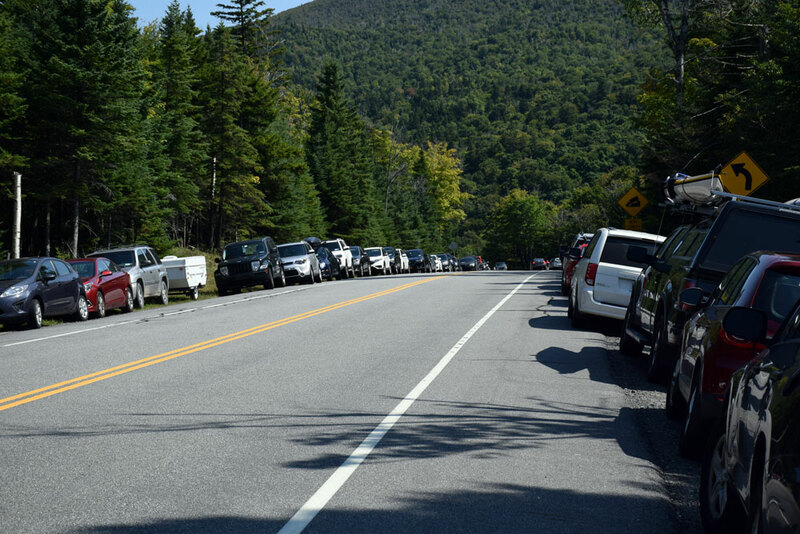 On most every summer weekend this year, hundreds of cars were parked along miles of roadside throughout the Lake Placid and Keene area. Parking lots at The Garden in Keene Valley and the High Peaks Information Center were jampacked before the sun rose. And at the end of the trails these droves of people signed into, enormous parties of hikers crowded the state’s highest summits. Possibly the largest group was organized on August 25 through a post on the online social networking portal Meetup.com by a Montreal man. Two days later, the state Department of Environmental Conservation ticketed the group’s leaders after they led 67 people to the top of Algonquin Peak. Through it all, wilderness leaders across the state expressed concern about the amount of people not practicing proper Leave No Trace principles. Both the numbers at the DEC’s trail registers and the numbers online bear out this latest, and largest, explosion the Adirondacks has seen. Goren said six ADK summit stewards were on duty Labor Day weekend, atop Mount Marcy, Algonquin Peak, Wright Peak and Cascade. They counted talking to more than 3,000 people. 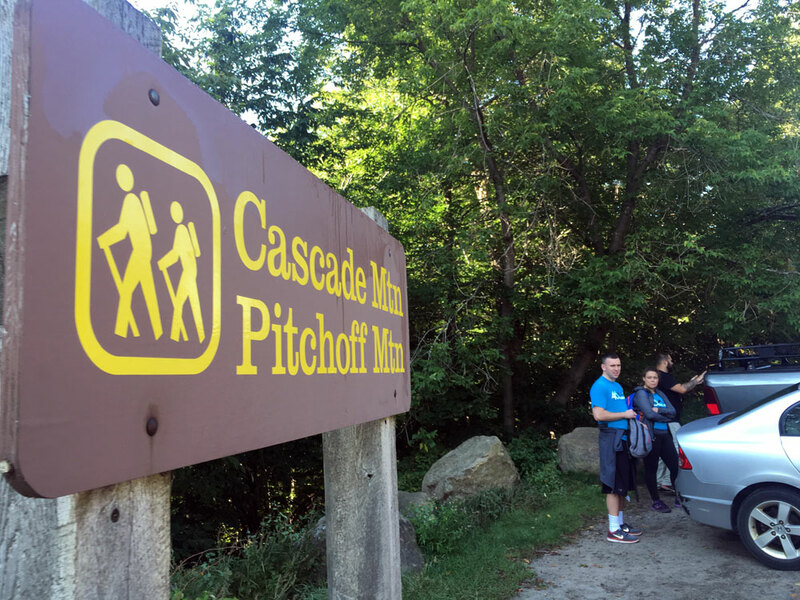 DEC statistics cited by the Adirondack Explorer magazine showed Cascade trailhead registrations more than doubled over the past decade, from 16,091 in 2006 to 33,149 in 2015 — and mostly in the last five years. The increase at the Van Hoevenberg trailhead, which leads to Marcy, Algonquin and other peaks, was 62 percent from 2005 to 2015’s total of 53,423. More people have officially completed their 46 in each of the seven years since 2009 than any other years prior. And in each year since 2009, that number has increased successively, to a record high of 560 inducted into 46er club in 2015. 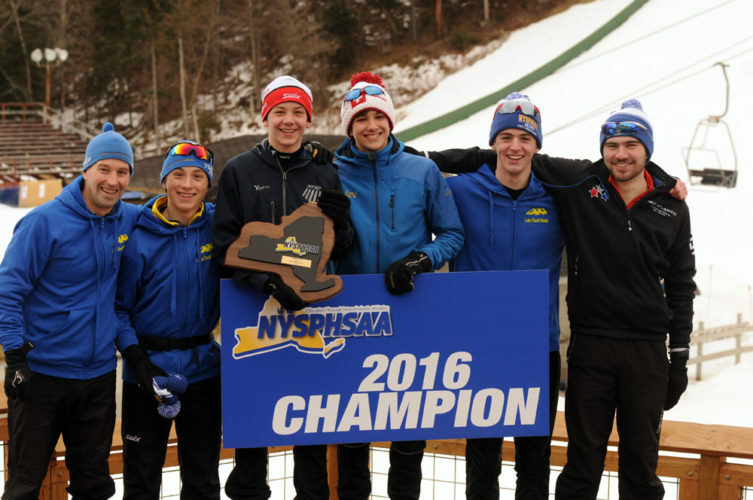 The social media age of Facebook and Instagram has seemingly only accelerated interest, the biggest example of which is a Facebook group called Aspiring Adirondack 46ers. The difference between the total number of official Adirondack 46ers through the end of 2015 and the more than 9,000 current members of the Facebook group is fewer than 400, as of Dec. 16. And on the Facebook group’s page, there are more than 27,500 photos posted. All those trends have some wondering if the traffic the High Peaks saw this summer was just the start of a bigger boom. “This summer it was like drinking out of a fire hose,” said Michael French, the administrator of the Facebook group. Efforts were made this year. Portable toilets were placed at five popular hiking trailheads in time for the summer season, thanks to a Volunteer Stewardship Agreement led by the AuSable River Association. In the days after Labor Day weekend, multiple state agencies worked together to launch a new website, www.adkalert.com, that focuses on alerting hikers about important information. 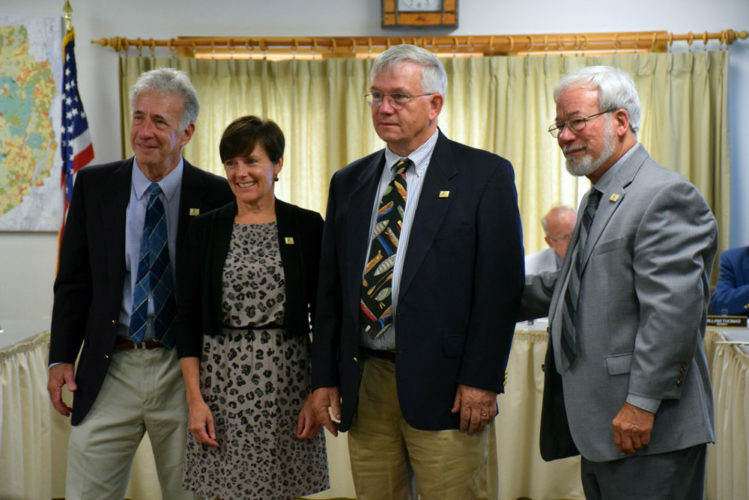 And Christine Bourjade and her husband, Alex Radmanovich, put up $10,000 in August to start a Summit Steward Program endowment through the Adirondack Foundation. After a month, $42,000 was raised. These and other small steps may only be a band-aid for the larger problems the High Peaks Wilderness is withstanding in a time of unprecedented growth. 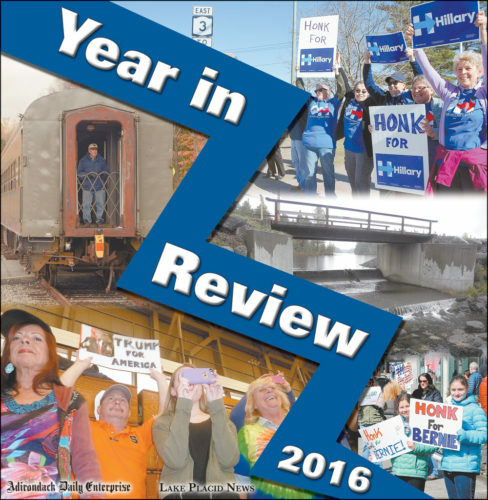 With a new year, much discussion abounds about how much the state can help increase funding to provide adequate staffing, parking and perhaps even a permit system. But, most importantly, wilderness experts desire help to properly educate people as the numbers have become too large to handle. 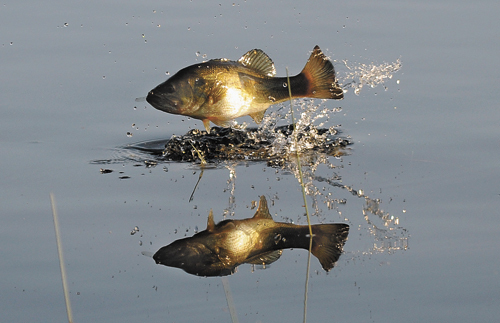 “We don’t want to stop people from coming to the Adirondacks,” Goren said.